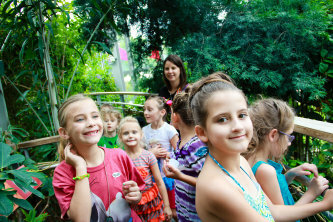 Dallas' hidden organic gem, we're a public garden with a year-round indoor tropical butterfly house. Where children and adults discover and learn to sustain the natural world. Bring the Gardens home! See our calendar for family-friendly garden walks, interactive workshops on organic gardening, and entertainment in the Gardens. Looking to host an event or party in a beautiful location? Book events inside our grand hall or outside in our gardens. Stay the day at the park with museums, attractions, landmarks and more! Discover a World of Butterflies! 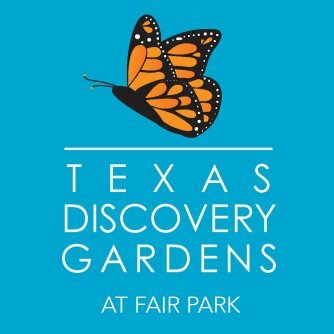 Located at historic Fair Park in Dallas, Texas Discovery Gardens is a year-round organic urban oasis filled with natural wonders for visitors of all ages. Immerse yourself in tropical butterflies in our Rosine Smith Sammons Butterfly House and Insectarium. Meander down our canopy walkway as you see hundreds of free-flying tropical butterflies and our collection of tropical plants. Outside, wander through 7.5 acres of organically maintained garden displays that feature native and adapted plants. From spring through fall, you may see all stages of the butterfly's life cycle (egg, caterpillar, pupae and adult) in our native butterfly habitat! Or, stroll through our heirloom rose garden, EarthKeepers veggie garden, picturesque Grand Allee du Meadows, and more. And make time to meet our Snakes of Texas! We feature 20 venomous and harmless snakes. Texas Discovery Gardens offers classes and workshops for all ages. Check out our upcoming events page for guided garden walks, in-depth workshops, and hour-long classes. Teachers:With our brand new butterfly house and indoor children's classroom, we have added to our interactive EarthKeepers educational programming! See our website for details on programs. We also offer classes with CPE credits throughout the year! Parents: Do you have budding young botanists? We have special programs, garden walks, and activities throughout the year to help your children learn and grow! We offer summer camps each year as well. See our website for details.